0.7% spending on international aid is necessary in the context of the enormous changes that are taking place globally – especially global population ageing. The UK Government’s Department for International Development (DFID) is committed to spending 0.7% of gross national income on international aid – a commitment which has been challenged by certain sectors of the UK media. Economic uncertainty, climate change, increasing risk of humanitarian disasters, globalised health risks and on-going conflict in many parts of the world require a strong response from governments like the UK. In addition, the success story of increasing longevity means that all of this is happening against the backdrop of global population ageing. As a country we must face up to the fact that the world’s population is ageing. 0.7% gives the UK Government the political and financial platform to be one of the few international donors to recognise the importance of addressing the rights and needs of older women and men. Older women and men are among the most vulnerable in the event of environmental disasters, climate change and conflict. 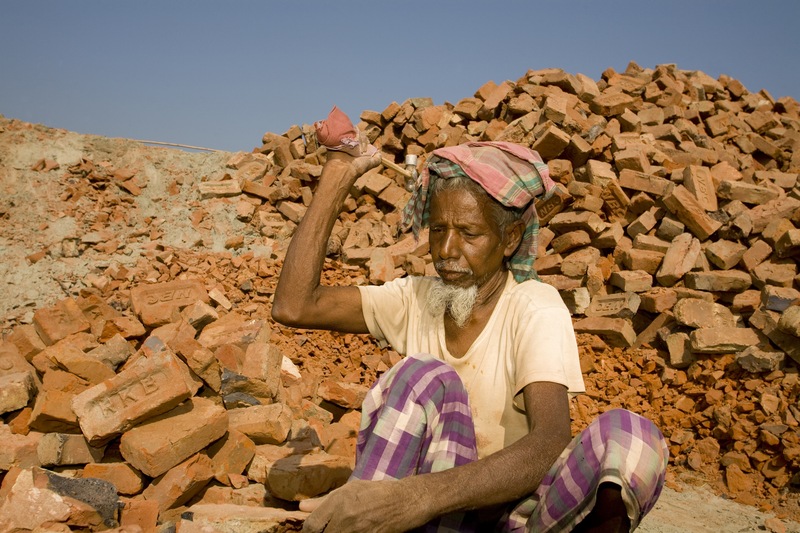 26 million older people are affected by natural disasters every year. 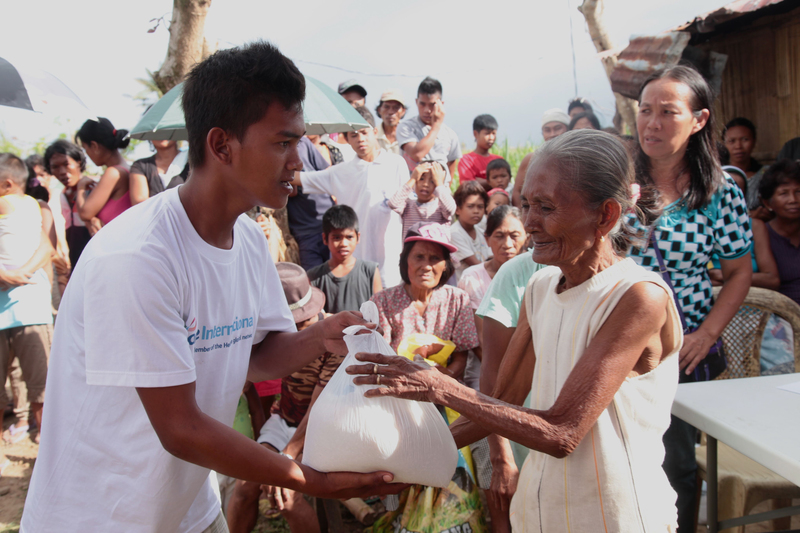 Emergency relief rarely reflects the needs of older people. Older people often have valuable experience of preparing for natural disasters. Working with Age International and the Disasters Emergency Committee (DEC), the UK Government provides age-friendly emergency relief following natural disasters and conflict in a range of countries, including: Syrian refugees in Jordan; those affected by the conflict in Ukraine; earthquake survivors in Nepal. It also supports disaster and emergency preparedness programmes in Kenya and Pakistan. Most poor people in developing countries work far into later life because they lack basic social protection. 80% of older women and men in developing countries have no regular income, which increases their vulnerability to abuse. Older women and men are often excluded from micro-credit schemes and livelihood recovery programmes which could enable them to remain self-sufficient. 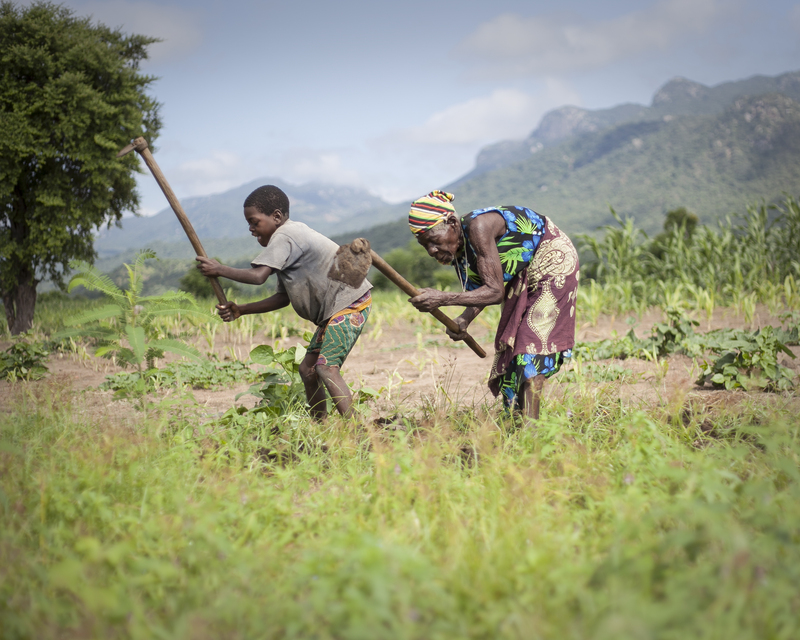 Fewer than 25% of older people in developing countries receive any form of state pension. The UK Government is supportive of using social protection as a means of improving livelihoods and tackling poverty. The Government’s Leave No One Behind commitment specifically includes older people as a group that needs to be taken into account. The Hunger Safety Net Programme supported by UK Aid in Kenya ensures that 300,000 of the poorest people in northern Kenya can feed themselves and their families by providing unconditional cash transfers. 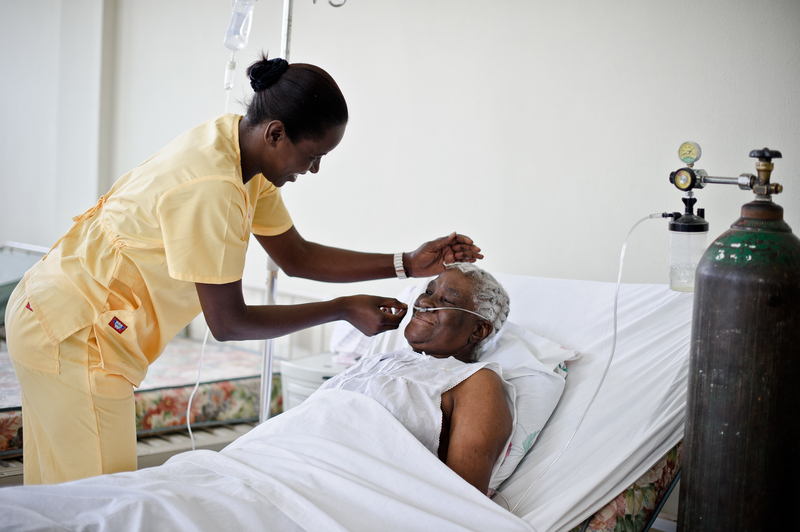 An older woman receives treatment, in a hospital in Haiti. In developing countries access to age-friendly health care is limited or non-existent. Longer life expectancy is a triumph of development but it has also led to an increase in chronic illnesses and non-communicable diseases (NCDs): in most developing countries more people are dying from NCDs, such as heart disease and cancers, than from communicable diseases. Longer life expectancy has meant higher rates of disability. One billion people worldwide live with disability – 80% of these live in developing countries and this number will only increase as the world’s population ages. Ageing greatly increases the likelihood of a person living with a disability. Global health challenges as a result of ageing need to be tackled – nearly two thirds of the 44.4 million who live with dementia live in low or middle income countries. Older women and men are a crucial part of local communities and economies. They support themselves and their families although their work and care contributions are rarely recognised. Lack of data about older women and men is hindering international aid efforts and DFID is championing the need for better disaggregated data by age and gender. UK Aid spending and the commitment to 0.7% helps create a more inclusive, sustainable and secure world for all people regardless of their age. Prosperity and wellbeing in the UK and globally require the leadership that the UK’s commitment to 0.7% brings.